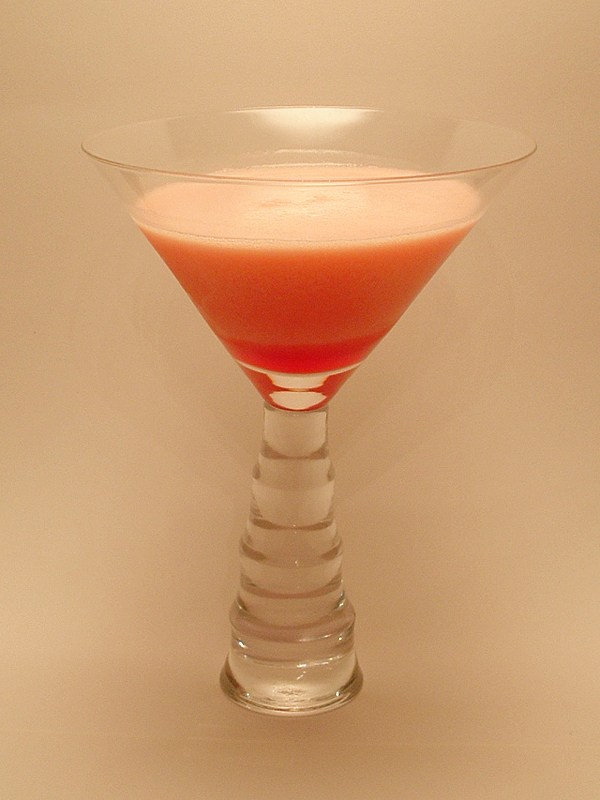 The Conga Line Cocktail – Cheers to Joan’s red dress! You are here: Home / Liqueur based / The Conga Line Cocktail – Cheers to Joan’s red dress! It was Christmas in August on Mad Men last week and that meant the Christmas Office Party! Of course, it took an unexpected visit from Lee Garner Jr, heir to the Lucky Strikes fortune to get the real party started at Sterling Cooper Draper Pryce. But the party did indeed get started: drinks, food and Roger Sterling dressed as Santa Clause passing out cartons of cigarettes. Then there was the Congo Line, as Joan led the group around the office dressed in that red dress… in the words of Roger ‘that red dress with the bow in the back that made you look like a present. The Mad Men fans here at Madtini Intoxicology Labs have been playing the conga line scene over and over in our heads. We decided to honor Joan the festive Conga Line with this delicious creamy blend of orange liqueur, amaretto and banana liqueur. Cheers and happy cocktails from Madtini! Add all the ingredients to a cocktail shaker filled with ice. Shake vigorously and strain into a chilled cocktail glass.